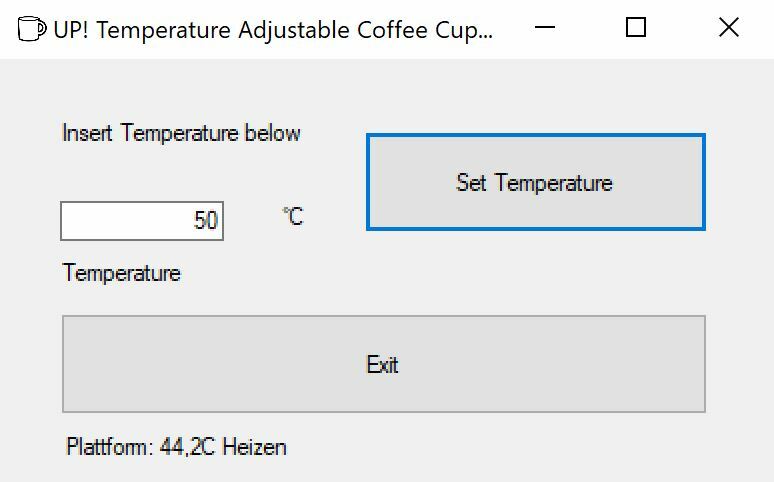 Use the Heatbed as Coffee Cup heater. It sometimes comes really handy to have an adjustable heatbed. Is there any API I can use to add this functionality to the UP! when not in use for printing ? Last edited by xpeace on Sun Feb 04, 2018 10:40 am, edited 1 time in total. I`ve made a quick addon for the old UP! Software. It currently works with the german UP! 2.18 Version only. But I can release the sourcecode, and it`s pretty easy to adopt to other versions as well. It just uses the API to readout the Temperature on the management panel. If anyone has webspace I can forward project files, sources and binary.